This entry is sparked by a wonderful interview, where the logistics of getting all these very busy members of the King family in the same location must been immense, that appeared recently in the New York Times Weekend Magazine. 2013 may very well represent the apex of the Stephen King Writing Clan in terms of output. Will this alignment of releases in the same year ever occur again within one family? Hard to say. We know S. King has two more books nearing completion – Mr. Mercedes and Revival. His output the last few years has been amazing! Can the kids keep up? 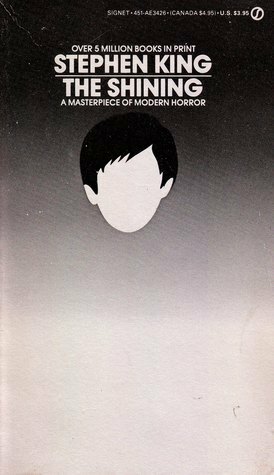 With the imminent release of Stephen King’s sequel to The Shining – Dr. Sleep, I decided to reread The Shining since it had been over 20 years since I had read it least. Partly because I want to reread some of King’s earlier books because it has been 20 plus years for a lot of those books. And partly because the impact that Kubrick’s adaptation of the book has had within pop culture is so pervasive- how events played out in his movie versus the book have become blurred. Writer & King expert, Bev Vincent, made this observation and I agree with him. And I am very glad I reread this book. Well I’m all set for Dr. Sleep. It’s been over twenty years since I last read this book and as good I thought it was since then, it’s even more powerful than I remember. No doubt because in the twenty intervening years I have become a family man and father myself. My focus on this story has shifted from the horror elements to the characters. Twenty years ago the visceral thrills that the Outlook Hotel gave have been dulled due to the ever expanding boundaries of what horror books/movies etc have shown and told us. What stands out more in The Shining are the ghosts we carry around inside of us. These ghosts have the potential to be far more damaging and/or terrifying than anything a possessed hotel can throw at us. Jack and Wendy Torrance are damaged goods trying to cast off the ghosts of their parents. Jack fails and with Wendy it is unclear how she fares moving forward from the end of the book. And Danny? Ah, poor Danny. With his gift, or curse, of The Shining – the weight of his ghosts is ever so much heavier. Will his ability ultimately help him conquer his demons or will he crash even harder than his father? Come Sept 24 with the release of Dr. Sleep, answers should be forthcoming. One feels guilty when you read in a day, a story a writer put a lot of work into. 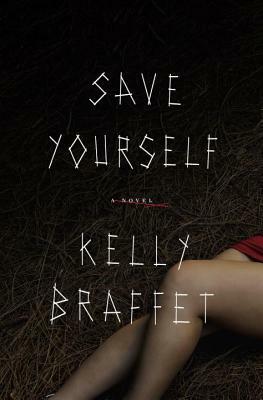 But it is also sign of a great book and Kelly Braffet has pulled off a particularly difficult feat. She created a very sad world with characters beaten down by events out of their control. Yet Braffert writes the characters in a way that makes you empathize with them. You may empathize with certain characters over others and that’s perfectly fine. There are enough characters in the story that more than a couple of them will probably get their hooks into you. The subtext of the unquenchable human thirst for the hope of being a better person flitters on the edges of every page. The only caveat is the characters end up where you think they will. The surprise is the price they have pay to get there.